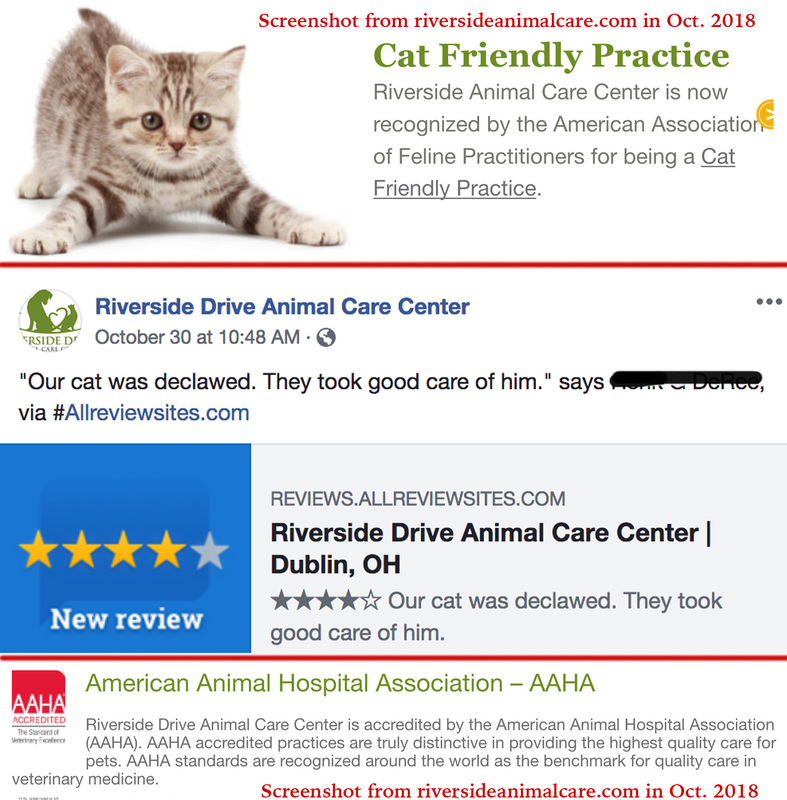 ———————————————————————————————-Riverside Drive Animal Care Center in Dublin, Ohio, a “Cat Friendly” AAFP, AAHA hospital, posted this review on their facebook and twitter page. I reached out to this hospital in an email to ask them questions for this story but never received a reply. Here’s the summary of how this hospital addresses declawing in phone calls with researchers posing as a first time cat owner. Not once did any of the three employees ask if there are scratching issues, talk about the easy, humane options, or tell the researchers that it was an amputation procedure that is not recommended because it is harmful to the health and well-being of a cat. 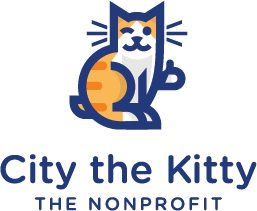 My researchers called Riverside Drive Animal Care Center posing as a first time cat owner and asked for the price of a neuter and also asked what else do people have done or what do they recommend with this procedure while the cat is out. They said a neuter/declaw is from $485-$614. 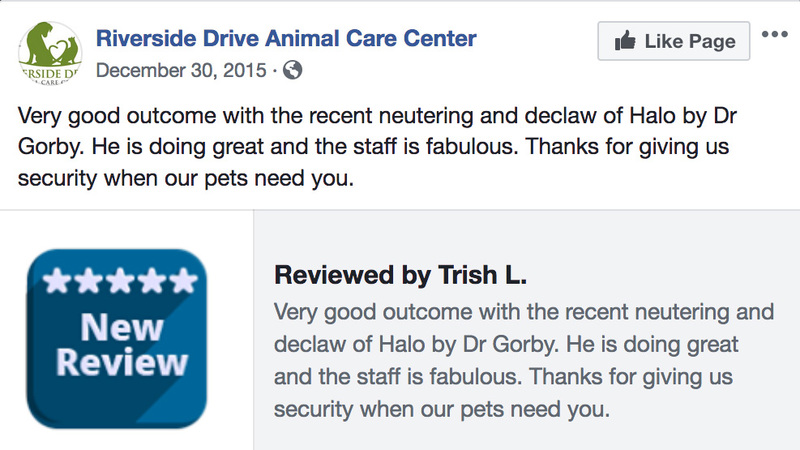 Researcher asked which vet is the most skilled at the declaw and the employee said they have 6 doctors and all of them are capable of doing a declaw. They use a laser and when asked why it is better the employee said it is less swelling, less risk of infection, and a lot less painful. A laparoscopic spay/declaw is $800-$900. 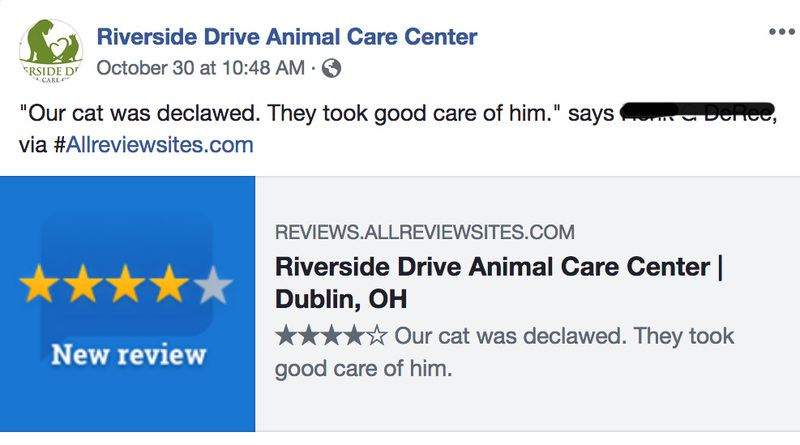 The employee put a vet tech on the phone to answer more questions about the declaw recovery time. Vet tech said that it depends on if the vet uses glue or sutures and put the researcher on hold. The recording on the phone talked about how their hospital was AAHA accredited and they have to uphold the association’s high standards. The vet tech said that it usually takes about two weeks for the skin to fully heal but sometimes they do break open. The only other thing to worry about they said is litter getting in the paws but they send you home with Purina’s Yesterday’s News litter. They said that the laser is better because it cauterizes as it cuts. Here’s another screenshot of a post on their facebook page from 2015.